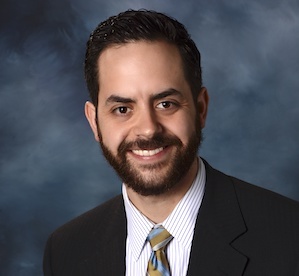 Attorney Manolis received his Bachelor of Arts degree from the University of Pittsburgh in 2009 and his Juris Doctor from Duquesne University School of Law in 2013. During law school, he was the Web Editor and Developer of JURIS_Blog from 2012-2013, as well as a Staff Writer for Juris Magazine’s Winter 2013 and Spring 2013 issues. He was also a Junior Staff Writer for the Duquesne Business Law Journal and had his case note published in its Volume 15-1. He has been licensed to practice law in Pennsylvania since 2013. He serves on the Lawrence County Bar Association Executive Committee as the Lawrence County YLD Chairperson for the Pennsylvania Bar Association. He is a member of the American, Pennsylvania, and Lawrence County Bar Associations. He has served as a presenter for continuing legal education programs given through the National Business Institute. Attorney Manolis has been involved in reported cases including: In re Petition of Navarra, 185 A.3d 342 (Pa.Super. 2018) and In re Estate of Navarra, 113 A.3d 829 (Pa.Super. 2015).